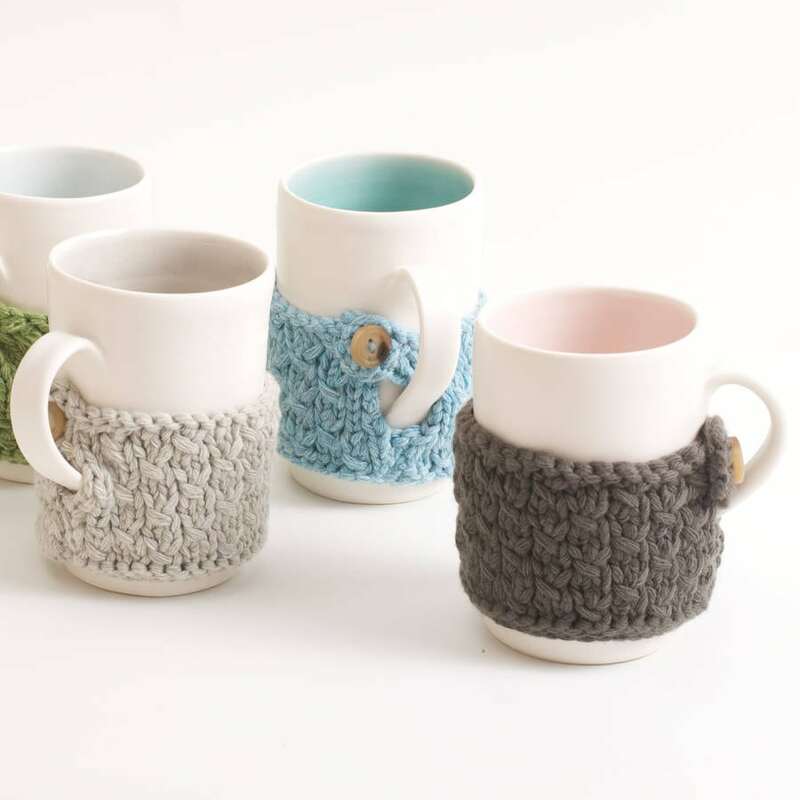 How cool are these perky new mugs? They're a steal at just £5 from M&S and make me want to drink even more tea than I already do (over-caffeinated, moi?). 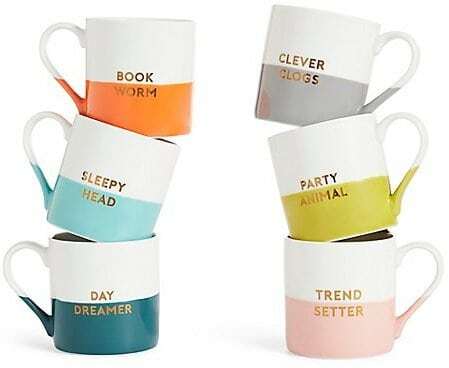 The only problem is narrowing it down to just one, as so many of the slogans apply to me - 'Trend Setter', 'Party Animal', 'Clever Clogs' and so on. Yeah I now, where's Totally Deluded? Anthropologie's colourful, boho-luxe homewares are always covetable. These hand-painted gilt-handled ones are ridiculously beautiful. Whatever you do, don't wreck 'em in the microwave. We all know Zara is great for fashion but don't forget their homewares -much like their clobber, it's cheap, cheerful, trend-led fare. 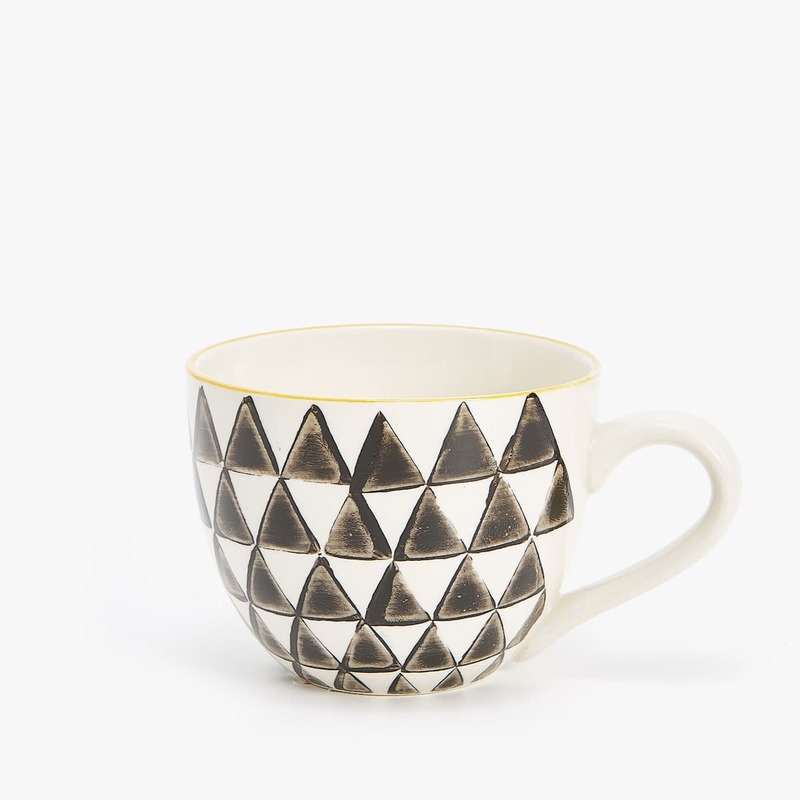 This rustic geometric-print mug comes with all manner of matching trays and bowls and is a steal at under a tenner. 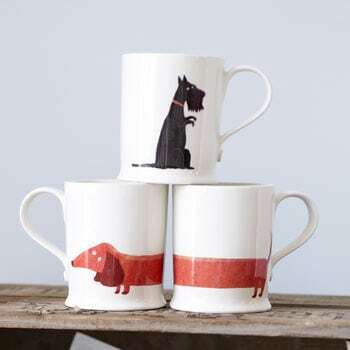 Henley-based homewares designer Fenella Smith is your gal for cute animal prints. This dachshund mug is my favourite. Here's a genius idea for those of us who get so distracted our Earl Grey always ends up tepid - a Linda Bloomfield mug with built in tea-cosy. Cute! OK, I've put this one in for a giggle. 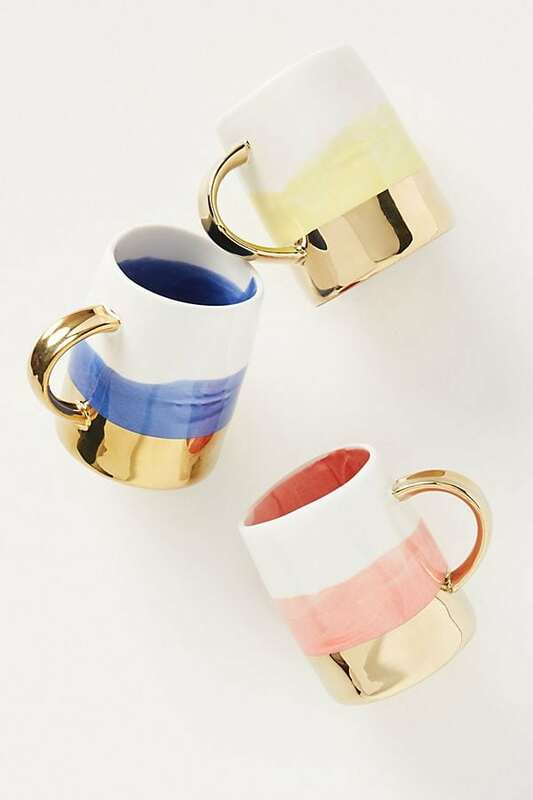 Would YOU splurge £100 on a mug?! 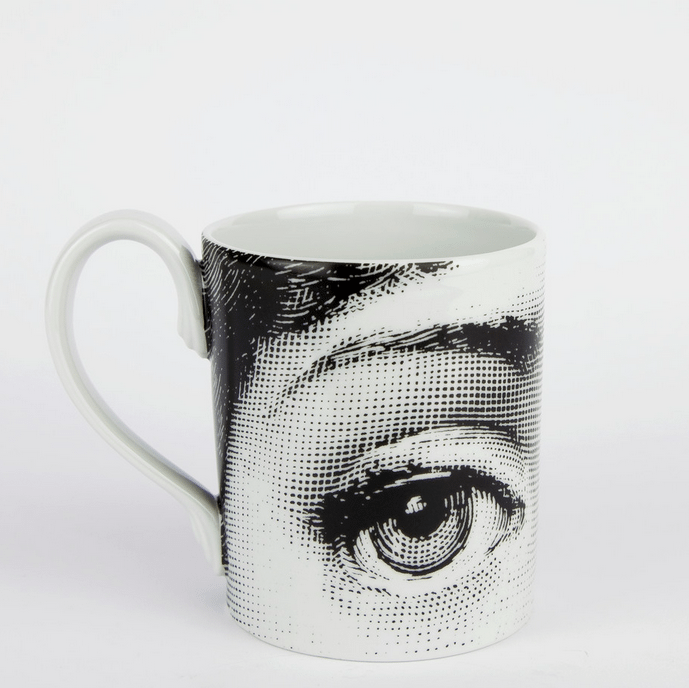 Italian painter Piero Fornasetti's homeware line is notoriously expensive (check out the candles). That face, by the way, belongs to his muse, opera singer Lina Cavalieri. You'd certainly need a calming camomile tea if you accidentally dropped this baby on the kitchen floor.